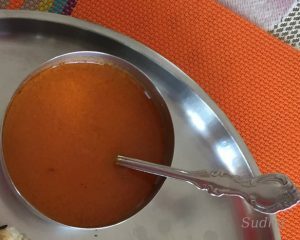 This is a Maharashtrian recipe. It is different from Tomato Soup. This is generally served along with Pulav or Masale Bhaat. But you can serve this as soup also. It requires very few ingredients. It’s very tasty. 12. Pour this tempering over the mixture in step 8 and mix well. 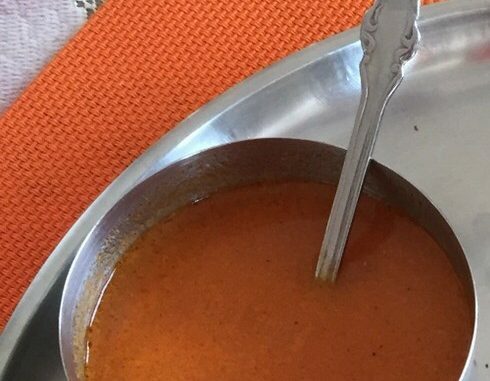 Delicious Tomato Saar is ready. Serve hot. You may add ginger paste to this Saar. If you want, add it in step 8.